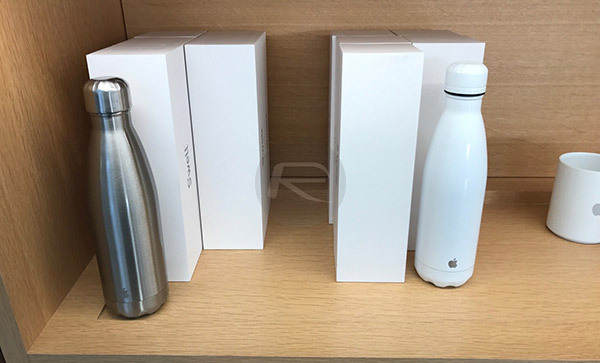 We take a look inside Apple’s Infinite Loop campus store in Cupertino to check out all the merchandise the avid fan can buy. Join us for a photo tour. Apple’s 1 Infinite Loop, Cupertino headquarters have long been something of a semi-holy site for Apple fans, and while Apple is hard at work preparing to move to a new, purpose-built facility dubbed “The Spaceship” that aptly resembles something from outer space, the company’s current home “The Mothership” is still pulling in the crowds. Apple fans seemingly cannot go within 100 miles of the place without swinging by. When they do, Apple isn’t going to pass up the opportunity to make a little money, either. 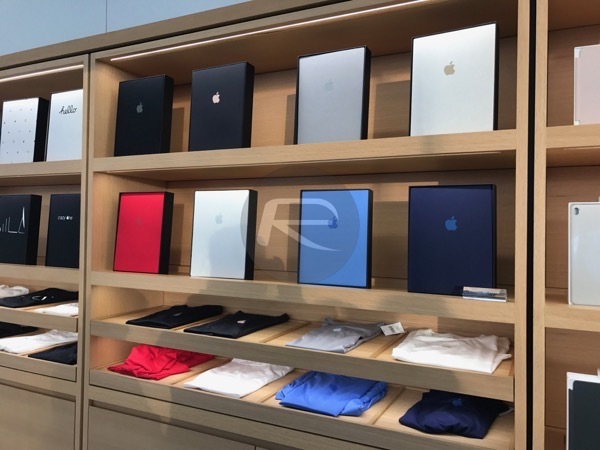 Previously affectionately known as The Company Store, the on-site Apple Store sells Apple merchandise like there is no tomorrow. If you want something to commemorate your visit to Apple’s very own Mecca, then this is the place to get it. 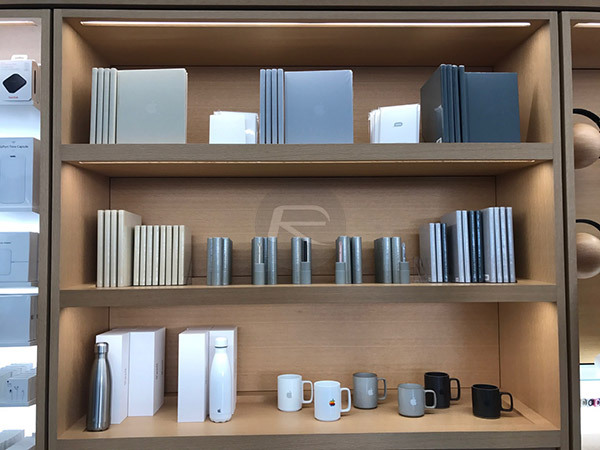 If you visit today, then you will still be able to pick up some Apple memorabilia, although the range was larger before the store’s rebrand, and as part of that change, Apple is now selling its enter product line through the location as well. Previously, anyone visiting The Company Store couldn’t buy, say, an iPad. That is no longer the case. 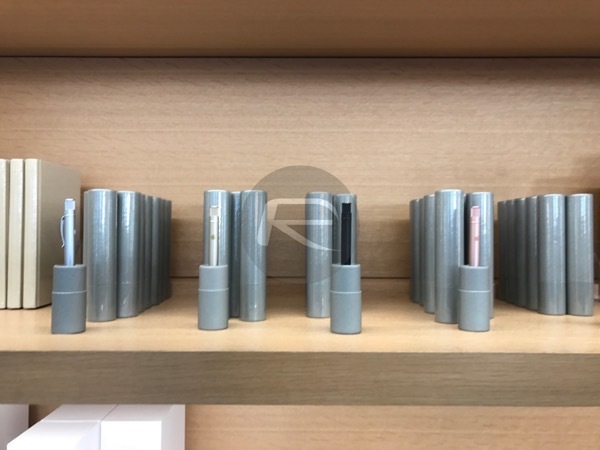 The vast majority of the non-product items sold in the new store can only be purchased exclusively at this one location, making them unique in that regard. And they all come packing in nice looking gift boxes. T-shirts with “hello”, emoji, classic Apple logo, Siri animation, “crazy ne” etc. written on them. Costs $35. There are t-shirts with emoji on, should that be your thing, and even t-shirts with Apple’s famous “hello” written across them. Not a fan of casual shirts? How about a pen, or stationary perhaps? A water bottle? Mug? Greeting card? 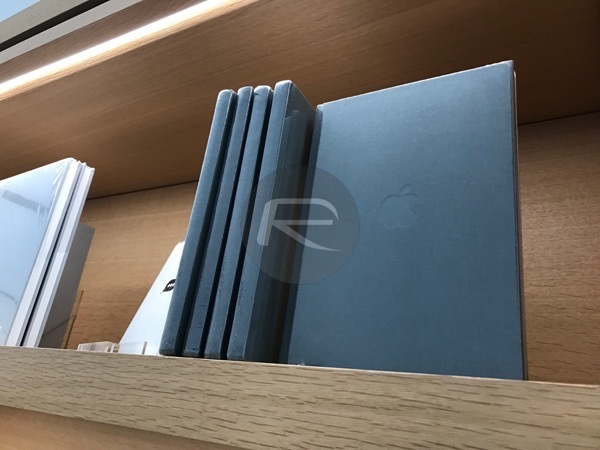 Space Gray notebook for taking notes. Comes in Gold and other colors as well with matching Apple logo embossed on them. 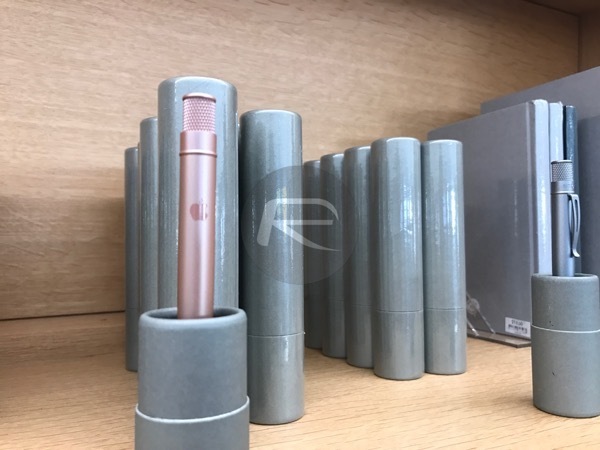 Apple pens are available in same famous colors as the iPhone: Space Gray, Black, Silver, Gold and Rose Gold. Costs $35 each and comes in stylish cylindrical container. 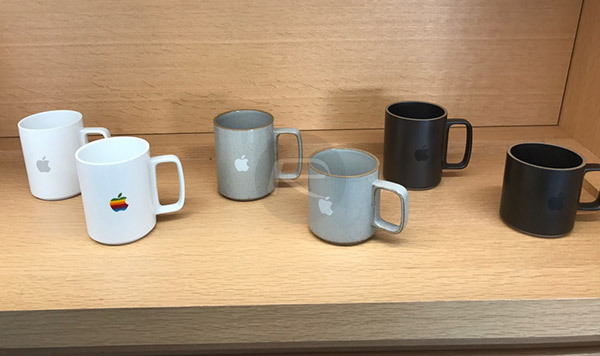 Mugs with classic Apple logos from the 80s as well as the new logo. 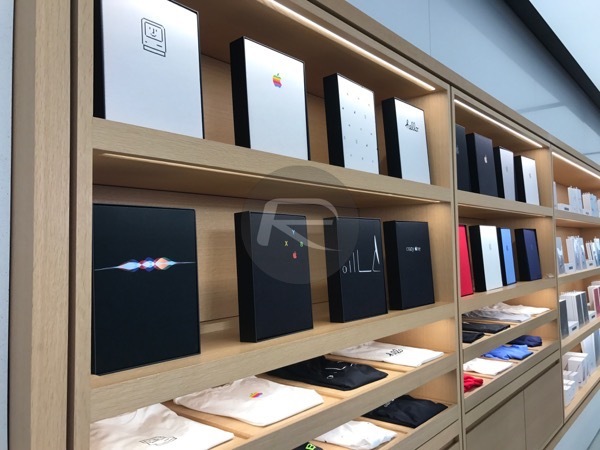 It is important to note that Apple keeps updating its merchandise selection available at this store with new designs, colors and slogans from time to time so that there’s something new for you to have the next time you visit the place. 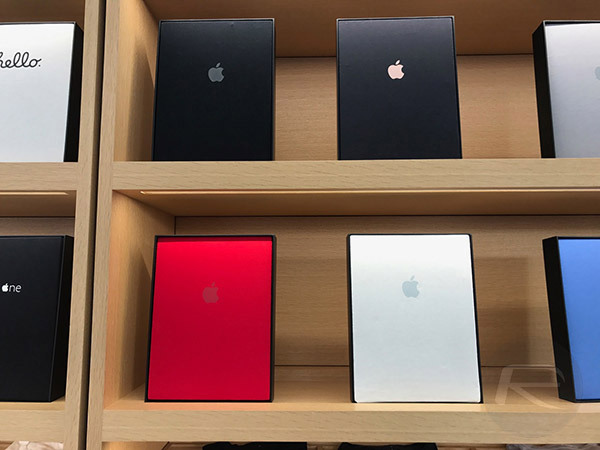 T-shirts with Apple logos come in different color combination as well, costs $35. Water thermos/bottle with Apple logo costs $35 as well. 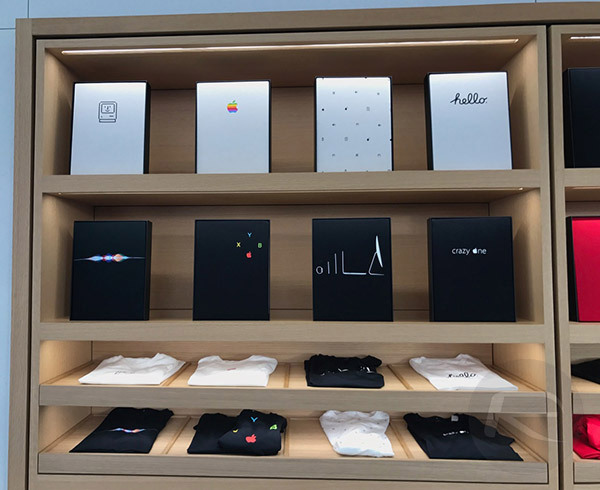 If you want something and you need it to have an Apple logo, slogan or icon on it, then you’re likely to find it in official capacity at the Infinite Loop store only. 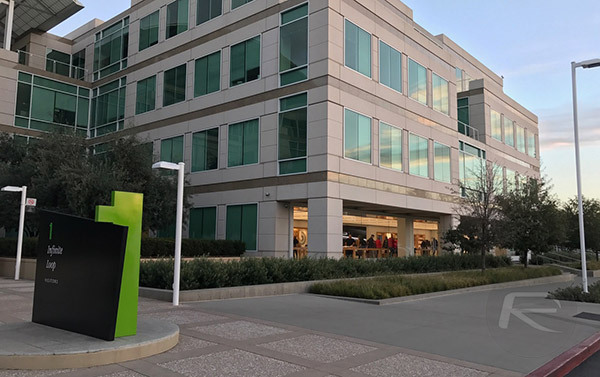 You’re unlikely to find it elsewhere, so be sure to take your credit card with you the next time you visit Cupertino; you don’t want to miss out do you? Samsung to copy in 3..2..1..
Come on Koala. Don’t do that. Don’t be that kind of Koala. Most large companies have corporate stores in their HQ. Loot and remit, die for dollars, outfox the Yankees.